See what's happening in the month of March!! 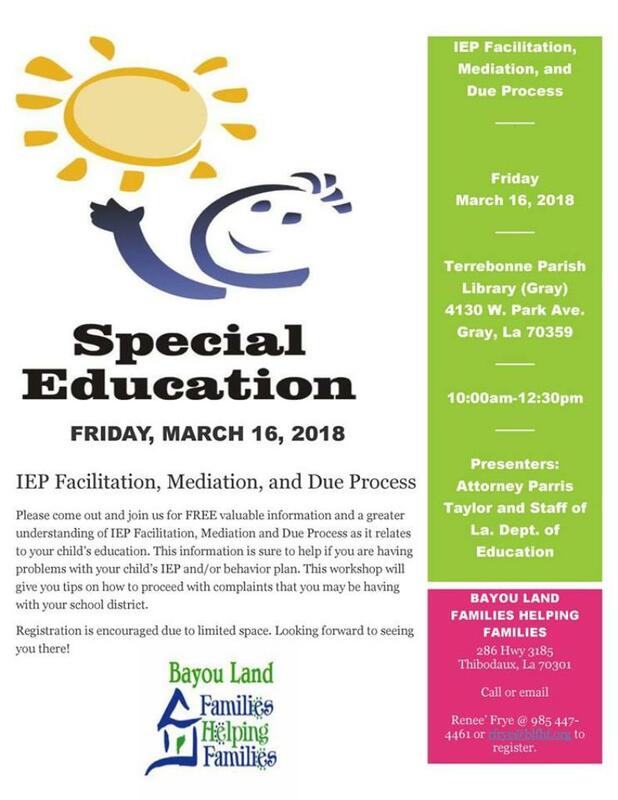 Please come out and join us for a free training on IEP Facilitation, Mediation, and Due Process as it relates to your child's education! 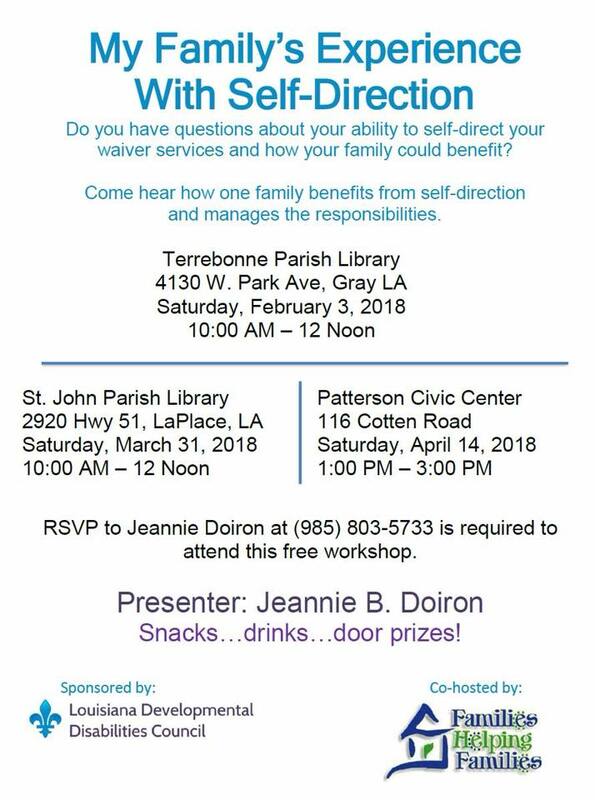 Do you have questions about your ability to self-direct your waiver services and how your family could benefit? Come hear how one family benefits from self-direction and manages the responsibilities. 2920 Hwy 51, LaPlace, La. 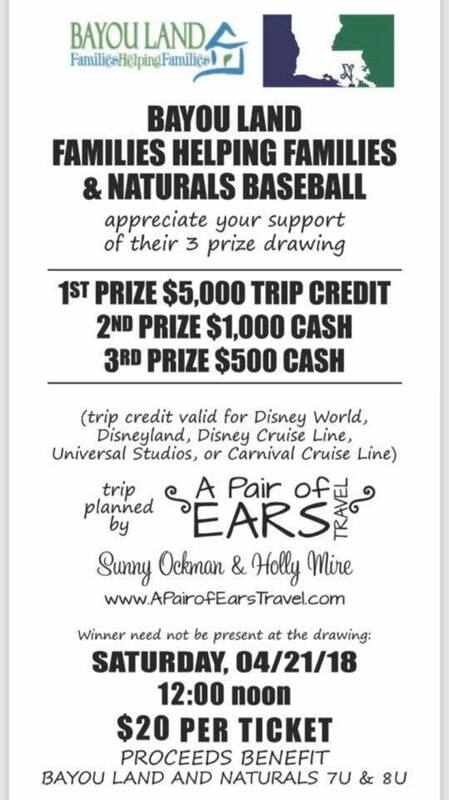 Bayou Land Families Helping Families is teaming up with Naturals Baseball 7U and 8U for a raffle to win 3 amazing prizes!!! Contact us at Bayou Land (phone: 985-447-4461 email: BayouLandfhf@blfhf.org) or you can call Rhiannon Traigle at 985-713-1634. Who doesn’t want to win a vacation or CASH while helping kids in our community?!? !